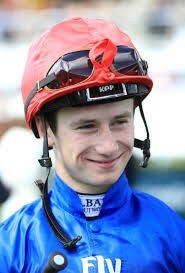 Oisin Murphy is the nephew of Jim Culloty and spent his formative years as a jockey under the tutelage the Cheltenham Gold Cup-winning trainer and jockey, as well as spending school summer holidays with Tommy Stack and Aidan O’Brien. In 2012, at the age of 17, Murphy left school and became apprenticed to Andrew Balding at Park House Stables in Kingsclere, near Newbury, Berkshire. Murphy had his first ride on Feeling, trained by Dai Burchell, who finished last of seven, in lowly 0-65 handicap at Chepstow on May 14, 2013, but rode his first winner, Imperial Glance, trained by Balding, in an apprentice handicap at Salisbury just over a month later. He quickly distinguished himself from the hoi polloi of apprentice jockeys, riding 41 winners in his debut season – more than enough to lose his 7lb claim – including a memorable 9,260/1 four-timer at Ayr that September. On his return from a successful winter in Australia, where he rode 13 winners, in 2014 Murphy was, as widely anticipated, crowned champion apprentice with 76 winners. He rode out his 3lb claim on Presburg, trained by Joseph Tuite, at Sandown in July that year, but the previous month, while still an apprentice, had the distinction of being offered a ride in the Derby – in which he couldn’t claim his allowance – on Red Galileo, trained by Ed Dunlop. In his first full season competing on level terms with his weighing room colleagues, in 2015, Murphy increased his total to 91 winners and, in 2016 – following his appointment as the only jockey retained by Qatar Racing – rode over a hundred winners in a season for the first time. In 2017, he rode his first Group 1 winner, Aclaim, trained by Martyn Meade, in the Prix de la Floret at Chantilly and, at the time of writing, has added ten more victories at the highest level, including four on Roaring Lion and one on Lightning Spear, both owned by Qatar Racing, in 2018.